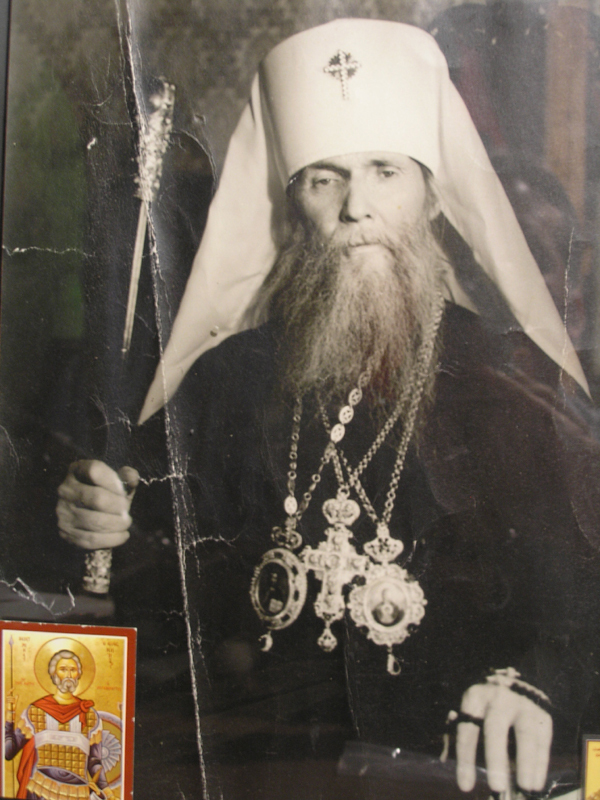 “Our God-bearing Fathers, who governed all things in the Church of God in a proper and God-pleasing manner, have left to us as a sacred heritage the God-given teaching, just as they themselves had received from the Holy Apostles, that the confession and defense of the True Orthodox Faith is the greatest of virtues. No other virtue, they tell us, is so great before God and so profitable for the Church.” So writes Archimandrite Justin Popovich. The Lord Jesus Christ stands before us this day and says: I am the way, the truth and the life; no man cometh to the Father but by Me (John 14:6). The words I have spoken to you are spirit and life (John 6:63). Thus speaks the God who does not lie (? ἀ?ευδὴ? Θ?ε?ὸ?ς? Titus 1:2). As for God, His works are true and all His ways are judgments. God is faithful and there is no unrighteousness in Him; righteous and holy is the Lord (Deut. 32:4 LXX). When the Jews asked Christ for a sign, He replied that the only sign that would be given is the Sign of Jonah; for as Jonah was three days and three nights in the belly of the whale, so will the Son of Man be three days and three nights in the heart of the earth (Mt. 12:38-41). The sign He wrought out of His compassionate love for us was His resurrection from the dead showing Himself alive numerous times; furthermore, one of these appearances was to 500 men at one time (I Cor. 15:6). The prophecy of Jonah is fulfilled in the death and Resurrection of Jesus Christ. 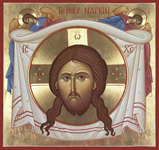 As Christ freed all men from Hades by His Holy Resurrection, so “love and confession of God’s Truth — that is to say, the True Faith of the Church — frees, enlightens and saves us men. This holy teaching is proclaimed especially by those holy Fathers who spent their entire lives struggling to preserve Christ’s true and saving Faith, by which alone men are saved and enter eternal life. This holy tradition of the Fathers, confirmed, as it is, and testified to by their entire lives, offers the greatest lesson for our own generation, a generation which, lacking zeal ‘for the love of the Truth’ (2 Thess. 2:10), has grown cold and hardened in its indifference toward the correct Faith. “Among the ancient and great Fathers of the Church, perhaps the greatest zealots for the correct Faith and Truth of God were Ss. Athanasios the Great and Basil the Great. Yet our holy and God-bearing Fathers, Nikiforos, Patriarch of Constantinople under the Iconoclastic Emperor, Leo the Armenian and Photios the Great Confessor and Defender of the Orthodox Faith of Christ against Nicholas I, Pope of Rome are in no way inferior to them. As a monastic, Saint Philaret stood with St. Isaac the Syrian who asks the Christian to examine the pathways in the heart and with St. Theodore the Studite who reminds us, “The work of a monk is not to tolerate even the least innovation in the Gospel of Christ”. As an Orthodox Christian, he shaped his life to conform to the openhandness of his Patron Saint, Saint Philaret the Almsgiver. Our Saint Philaret kept nothing for himself; he cared for orphans and widows (James 1:27) and kept his life hidden in Christ. As a Hierarch, he called others of his brethern to account for the direction in which their leadership was taking the Church. And we will perform each the lusts of his evil heart (Jer.16:12 LXX). Depart from me; I desire not to know Thy ways (Job 21:14 LXX). After so many admonitions to the proponents of Ecumenism, cautions that fell on deaf ears, Metropolitan Philaret, together with the entire Holy Synod of the Church Abroad, issued the Anathema Against Ecumenism on the Sunday of the Fathers of the Seventh Ecumenical Council on October 14/27, 1983. Those who choose to follow him will be granted all that he, in his humility, called down from the Lord’s bounty for the saints always give away everything they have been given. The hands of the saints are ever open to such beggars and sinners as ourselves. Saint Philaret, the new Athanasius, the new Mark of Ephesus, Philaret the Great, intercede ceaselessly out of thy great virtue before the Throne of the Most High for us sinners.